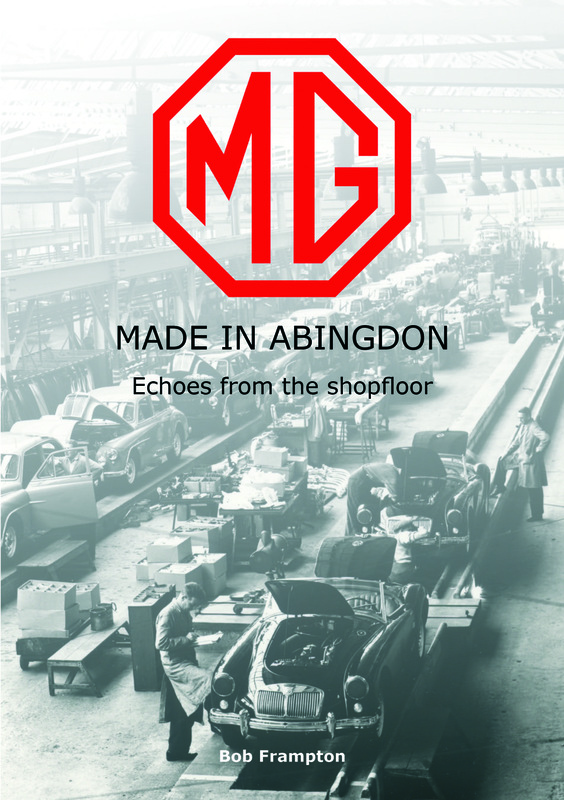 Bob Frampton’s new book, MG, Made in Abingdon, is rich with glimpses from individual workers at the MG factory in Abingdon. Getting a job at MG was for many only a possibility if you already had a family member working there. Long service was the order of the day and many a career started in lowly positions in the factory. MG, short for Morris Garages, was part of the Nuffield Empire, Morris, Wolseley and Riley cars which were built in nearby Oxford at the Cowley works. Subsequently it became part of British Leyland who closed MG down soon after celebrating the 50th Anniversary in 1979. Some fascinating stories include that of Tommy Eales who began at 15 years old as a tea boy at MG. After working in various departments he found his place in the Competitions Dept. At 20 years old he was preparing engines, gearboxes and suspensions for competition cars. On the London to Mexico rally in 1970 he was away from home for seven weeks and managed to get lost in the Andes. Lord Stokes closed the competitions dept. in 1970 and Tommy moved on to engine development work. MG owners who have had their cars stolen can learn how MG were one of the few motor manufacturers who stamped and recorded gearbox numbers. Brian Ward, a Thames Valley Police Officer spent many hours checking these records and their meticulous detail resulted in many a stolen MG being reunited with the rightful owner. Abingdon is famous for the MG cars it produced but in World War Two tanks were made there and in later years, Austin Healey sports cars and Morris Minor Travellers were also manufactured in the factory. Many tales indicate the “family” feeling that pervaded the works, people were proud of being associated with the world famous MG. Whilst the factory premises have long since been absorbed into a trading estate the MG Car Club has its head office in the former MG office building. Maintaining a link with Abingdon, the Abingdon County Hall Museum have on display one of the last MGB sports cars made It is on loan from British Motor Heritage.